Lewis Hamilton trailed Kimi Raikkonen by just 0.011 seconds as his championship rival Sebastian Vettel collided with the wall in second practice for the Singapore Grand Prix. Defending champion Hamilton was a distant sixth in the opening running at the Marina Bay Street Circuit on Friday, but he will be encouraged by his competitive time under the floodlights. For Vettel, who trails Hamilton by 30 points in the race for this season’s title, he finished only ninth after running wide at the final chicane and hitting the barriers. The German sustained damage to the right-hand side of his Ferrari and missed the majority of the 90-minute session. Mercedes have struggled at this slow-speed temporary track in recent seasons, and Hamilton appeared on course for a difficult day after finishing the opening running 1.5 seconds off the front-runners. Hamilton, however, ended the evening on the coattails of Raikkonen’s Ferrari to suggest he could yet be in contention for the victory on Sunday. Vettel arrived in the Far East on the back of his disappointing outing at Ferrari’s home in Monza, where he finished only fourth after a clumsy opening-lap collision with Hamilton. Vettel thudded the barriers, and the ensuing damage forced him to abandon his session. As such, Vettel completed just 12 laps, the fewest of any driver, to leave him on the backfoot heading into the remainder of the weekend. Red Bull had been fastest in the first session, but Max Verstappen finished third later in the day ahead of his team-mate Daniel Ricciardo. The duo were half-a-second slower than Raikkonen’s best time. Valtteri Bottas finished fifth for Mercedes. 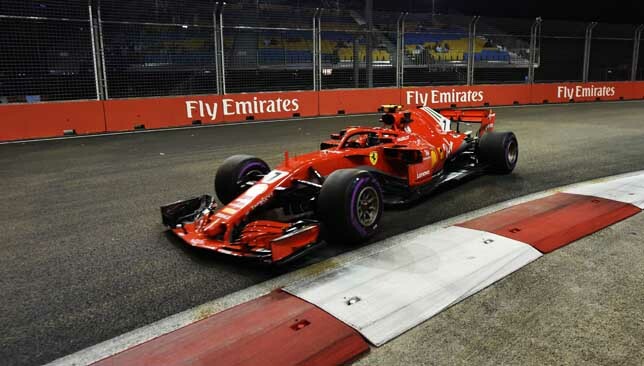 Earlier in the day, Vettel’s Ferrari team-mate for next year, Charles Leclerc, also found trouble after he hit the wall on the exit of the Anderson Bridge. The 20-year-old Monegasque, who will replace veteran Raikkonen at the Prancing Horse in 2019, bumped the inside of the barriers at the Cricket Club Chicane and was forced to pull over at turn 13. “Sorry guys, it was my fault,” the 20-year-old said over the radio. “I touched the wall.” He returned for the second session before finishing 14th. Romain Grosjean finished seventh in his Haas ahead of McLaren’s Fernando Alonso. Renault driver, Nico Hulkenberg, taking part in his 150th grand prix, completed the top 10. Incoming Ferrari driver Charles Leclerc is under no illusions that he must make an instant impact after signing a deal this week. On Tuesday, Ferrari announced the youngster would be moving from Sauber for the 2019 season where he will replace Kimi Raikkonen, who is going in the opposite direction. “I have had a very good season this year… and next year I have to perform in a big team,” Leclerc said ahead of this weekend’s Singapore Grand Prix. He added: “Whether I’m ready or not, I can’t tell. But I think that if you see Lewis, he arrived the first year and straight away was there. 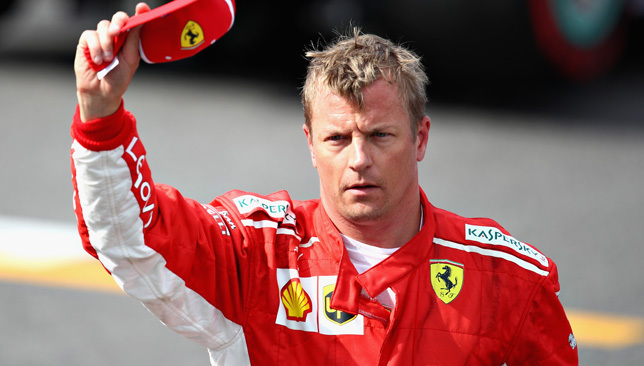 “And if next year I don’t have the results good enough to stay in Ferrari… then I don’t deserve a Ferrari seat. This is how I see things,” he said. It’s incredible to see Kimi Raikkonen extend his F1 stay with Sauber until 2020 when he will be aged 41 – and with it should come the record for the most races ahead of Rubens Barrichello at 322. But his departure from a comfortable seat at Ferrari should be greeted with optimism – paving the way for a new generation of F1 drivers. With Mercedes sticking with their two big guns in Lewis Hamilton (33) and Valtteri Bottas (29) for 2019, Ferrari and Red Bull are putting their faith in youth, with Max Verstappen (21), Pierre Gasly (22) and Charles Leclerc (20) filling three of the big four seats. That’s not to mention Lando Norris (18) who will team up with Carlos Sainz (24) at McLaren next season, while also taking into account the young pair of Lance Stroll (19) and Sergey Sirotkin (23) at Williams. Although it is not confirmed which team Stroll will be driving for next season – his father recently led a consortium to buy Force India – it is expected both drivers will remain in Formula One. If Stroll switches to Force India, he could take Esteban Ocon’s (21) place with Sergio Perez (28) guaranteed a seat due to his lucrative backing from Mexican businessman Carlos Slim. 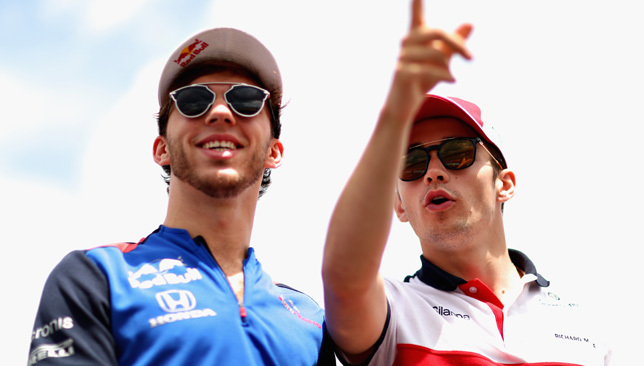 If Ocon is replaced, there are theoretical openings at Toro Rosso, Williams and Haas for next season, so the Frenchman’s future shouldn’t be in doubt just yet. But for all the sparkling talent coming through the ranks, this era of Formula One drivers is set to dominate the grid for the next decade and beyond. It’s the youngest line-up in over 20 years, with the 2008 grid boasting an average age of 28.6 in comparison to a youthful 27.8 in 2018. Even going back as far as 1998, the season ending Japanese GP had an average age of 28.8. As it stands, the seats at Haas, Toro Rosso and Williams are yet to be confirmed for next season, but Renault and Red Bull will be the joint-youngest teams on the grid with a current average age of 21.5. Mercedes will boast the oldest line-up on the grid with an average age of 31, while Renault will follow closely behind with an average age of 30 between the experienced duo of Niko Hulkenberg (31) and Daniel Ricciardo (30). Then there is the outlier, the Iceman himself – who has seemingly been cyrogenically preserved to take his F1 career into his fifth decade and beyond. Many fans expected Raikkonen to join Fernando Alonso (37) in retiring from F1 but his addition to Sauber gives the 2019 grid a fascinating look. The flying Finn may well be past his best, but whether it’s worth it or not for Sauber, he will bring fans, attention and a chance to prolong his career as one of the oldest and popular drivers in history.